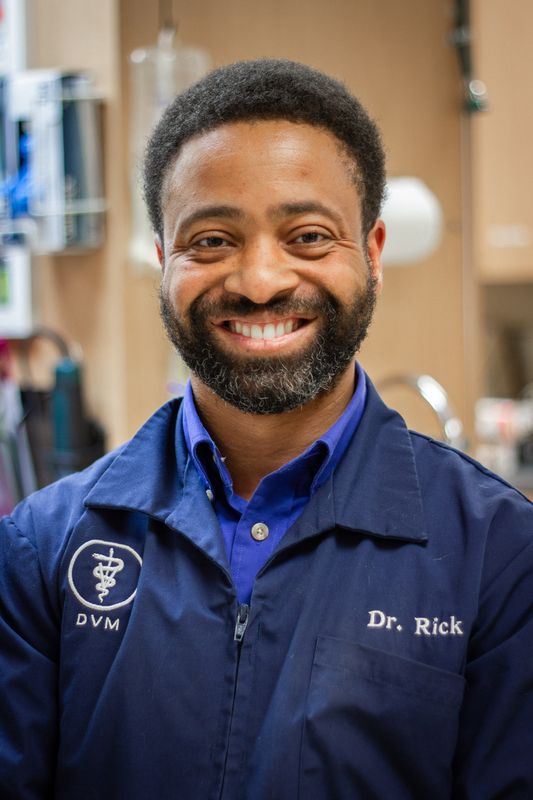 Dr. Ricardo Kendrick is the youngest member of our doctoral team, but he has been exposed to veterinary medicine since the age of three as the younger son of Dr. Joe and Gloria Kendrick. He received his B.S. degree in Biology from Morehouse College and his Doctor of Veterinary Medicine degree from Tuskegee University School of Veterinary Medicine. 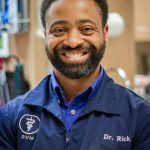 Dr. Rick is the husband of Melba and enjoys spending time with his family including his daughter, Elena, his son, Noah, his baby girl, Gianna. He also enjoys reading science fiction books, working out, cooking and listening to music.